Snugly situated below Charing Cross train station, the petite Playhouse has proven itself to be a hardy theatre over the last century and a bit. First built as the Royal Avenue Theatre in 1882, it did a roaring trade in Comic Opera, farce, and burlesque as presented by the era's music hall superstar Arthur Roberts. But by the 1890s, she had changed hands and was known for its dramas, with George Bernard Shaw's London Debut, The Arms and The Man, opening there in 1894. The early 20th Century saw a tragedy when, during a renovation in 1905, a crash at the station above collapsed the ceiling and six workmen where killed. It went on to open again in 1907 with a short sketch from Shaw marking the occasion, before flourishing until the war saw audience levels fall. In 1951, another change of pace saw the theatre requisitioned by the BBC as a live studio, hosting episodes of The Goon Show and Hancock's Half Hour among music performances from rock and roll's finest including The Beatles, Queen, Pink Floyd, The Who, and The Rolling Stones. In 1976 however, the recording light went out for good and The Playhouse's fate looked bleak. After ten years standing empty and in danger of demolition, the theatre found new hope in owner Robin Gonshaw, who spruced it up and launched the musical Girlfriends. The next year, 1988, novelist and ex-politician Jeffrey Archer scooped it up for �1 Million, before flipping it the following year for double. 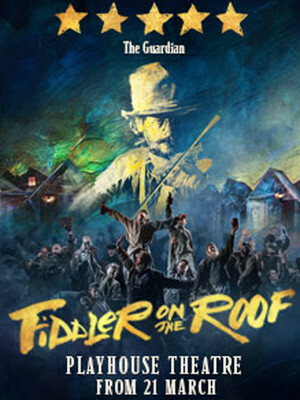 Since then, The Playhouse has once again offered a mixed genre of shows to see, with its doors open for everything from the National Theatre's award-winning revival of J.B Priestley's An Inspector Calls, wartime dramas like Journey's End, myriad jukebox musicals, Lindsay Lohan's stage debut, The Rocky Horror Show's 30th Anniversary and many, many more. A little stuffy in the summer months, The Playhouse more than makes up for it in history, charm and the fact that its diminutive size means there isn't a bad seat in the house. 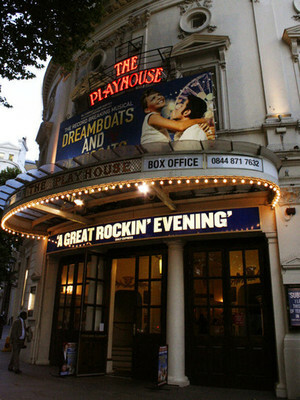 Please note: The term Playhouse Theatre as well as all associated graphics, logos, and/or other trademarks, tradenames or copyrights are the property of the Playhouse Theatre and are used herein for factual descriptive purposes only. We are in no way associated with or authorized by the Playhouse Theatre and neither that entity nor any of its affiliates have licensed or endorsed us to sell tickets, goods and or services in conjunction with their events.